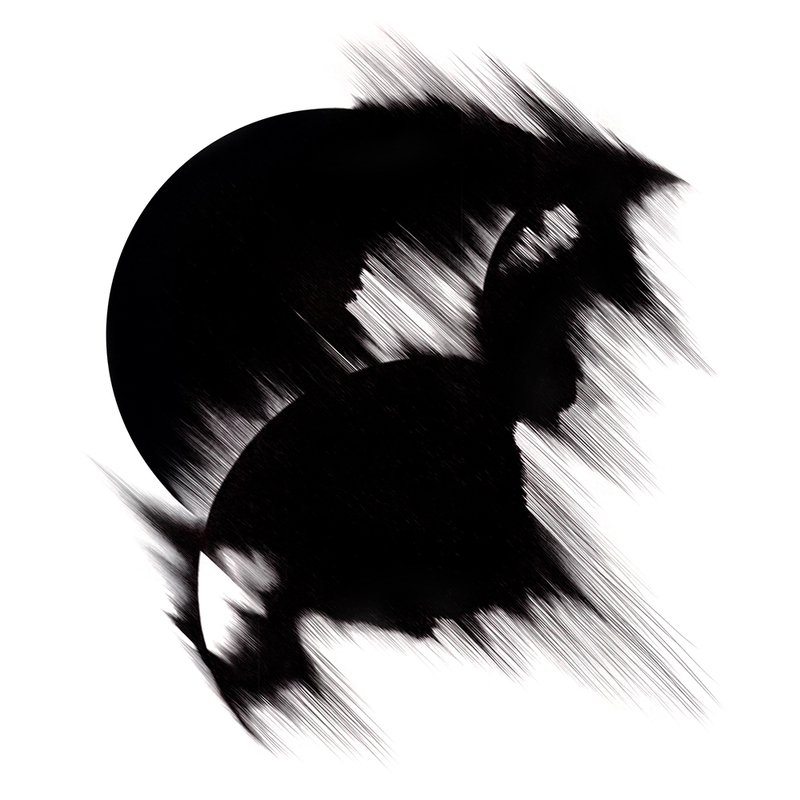 I remember first hearing Lakker‘s work on the 2007 long player “Ruido.” What struck me then (and still does now) was the sheer scope of the influences that the Dublin duo draw on and the huge depth and range of sounds used in their productions. Since then I’ve followed their productions and live performances with a keen interest, and the announcement of “Tundra” back in March (the “Irish Techno wizards” said FACT magazine) was cause for some excitement. The new LP on R&S Records is unlike anything else out there right now – by turns operatic, dark, uplifting and raw, immaculately produced and presented with amazing artwork. It’s very hard to pick a few of the tracks to go into more detail on from such a superb selection. But here are some things that stood out for me. From the opening strains of “Echtrae” the production values are apparent. Every track on this album sounds a million miles wide. “Milch” uses juxtaposition of choral notes and firing synth stabs as percussion to devastating effect, with a haunting whispering that’s barely heard in the background. Listening to the percussive notes widen and develop into bass and drums as the track progresses is like hearing something coaxed into life by the haunting melody being sung over it. I can safely say I’ve never heard a track quite like “Three Songs.” A sung choral intro of unsurpassed beauty is brutally cut off by fast kick drums and fizzing, static percussion, with a flat note measuring out the bars. At first listen this is shocking but a few choral notes carry through and lead you to the deep, lilting melody. Skittering hats and increased pressure in the kicks at this point recombine with choral notes and soaring synth notes, then the soundscape unfurls fully. Beauty and power, at once perfectly opposed and combined. Simply an astounding, euphoric piece of music. The title track “Tundra” starts out as one of the most straight ahead compositions on offer here, with its measured breakbeat to click and rattle, but what grows out of it is anything but. Powerful growling notes slowly take precedence, increasing in volume and intensity and sounding like the birth of stars. Part way in, there’s the briefest touch of lighter notes and again that sense of ethereal euphoria that features throughout the album, before a gradual fading and the reintroduction of the beats. These are slowly eclipsed again, this time by sawing, tearing distortion, overdriving and expanding like a thousand supernovae and then sputtering out to nothing. To be honest every track here is a highlight. The barely controlled aggression of the notes in “Pylon” and its clicked up beats. The understated menace and melodic chimes of “Oktavist.” The hissing, percussive syncopation of “Herald.” With Tundra, Lakker prove once again that they can continually achieve that oh-so-difficult task in modern electronic music – a sound that’s all their own and completely unique. This album deserves to be counted as a classic alongside works by artists such as Aphex and Autechre. If you go for such concepts as ‘Album of the Year’ (I don’t) then this may very well be it. Tundra is out soon on the prolific R&S Records and is available in beautiful limited edition “splattered” vinyl as seen below and also CD and Digital formats. A more intriguing and immersive experience in electronic music you are very unlikely to find right now. > 01. The track “Three Songs” is exceptionally varied in its musical content. Was it the intention with this album to seek out and arrange deliberately contrasting sounds? The intention was to have an honest representation of who we both are as musicians, and contrasting different sounds is something we’ve both always found interesting. We’ve always loved the melding of different styles and different soundworlds coming together to create something new and interesting. It wasn’t really a conscious decision to do this on the album, it’s more that that’s what felt natural to us when we were making the tracks. > 02. Can you tell us how the artwork ties in with the music on the album and who produced it? It was produced by an amazing artist called Eileen Carpio, whose voice also features on a number of tracks. It is an image that she drew, black ink on white paper, while listening to the album, inspired by the tracks, and when she showed it to us it immediately felt right. > 03. How do you feel your outlook on music and sounds has changed since the early days? What is different about your influences these days? I think now we have more of an appreciation for the sounds themselves, and also less of a desire to do so much. When we were younger we used to try and do way too much in each track, and layer things too much, create tracks that were too dense. A lot of the time we would use interesting sounds, but they would get lost in the mix. Nowadays we are more careful to not cram the tracks too full of sounds, or ideas. We are not afraid to be more simple, and let things be a bit more, rather than having to make everything chaotic or complex. Our influences are wider than ever before. In a funny way sometimes. I think we both have an appreciation for things like garage or house music, or even pop music – more accessible things we may have shunned years ago. > 04. Did you approach this album in a different way to “Ruido” in terms of the source sounds and the production methods? Yes, and no. In production terms this album is a lot more refined and cleaner than Ruido. More mature. Less crammed full of sounds and ideas, as we mentioned above. In terms of sound sources we still have a similar approach – we still use a lot of found sound, and still try to find a balance between organic and electronic sounds. But now we try to use them in a more refined way. Letting more of individual sounds have their place in the mix, taking more care with how we use the sounds. Also nowadays we do a lot more synthesis of our own sounds, whereas Ruido was very much sample based. > 05. It’s been over 7 years since the last album. Was there a conscious decision to wait until now before producing another, and has it been important for you both to develop musically to this point? Absolutely. After Ruido came out, we both decided our sound needed to develop, and we wanted a period of just releasing EPs and 12″s to be able to explore that. We always felt an album is a statement, so we did not want to do a second album until we felt we were at the point to we had something to say – something that would hold up in an album format. We didn’t want to put another album out just for the sake of it. And it took until now for us to be happy and confident enough in our sound to do that. That’s what Tundra is and we’re both super happy with it! This entry was posted on May 8, 2015 by Death Techno. It was filed under DT:Reviews, Messages/News and was tagged with DTR, Lakker, R&S Records, techno review.